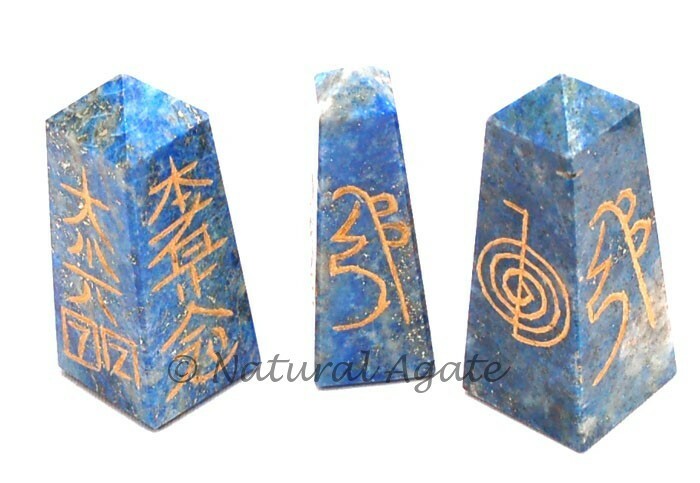 Lapis Lazuli Reiki 1-2 Tower by Natural Agate is 25-35mm in height. All the four faces of the tower carry reiki symbols. It can be gifted to your friend who practices reiki. It is beautiful and helpful.